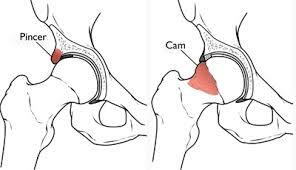 Sometimes cam-type impingement occurs as a result of some other hip problem (e.g., Legg-CalvÃ©-Perthes disease, slipped capital femoral epiphysis or SCFE). But most of the time, it occurs by itself and is the main problem. 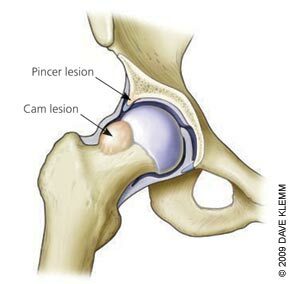 Men are affected by cam-type impingement more often than women. 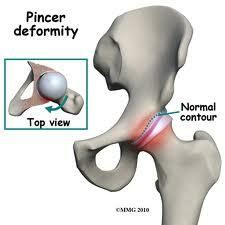 Pincer-type impingement is usually caused by some other problem. It could be as a result of 1) hip dysplasia, 2) a complication after osteotomy surgery to correct hip dysplasia, or 3) an abnormal position of the acetabulum calledretroversion. Hip dysplasia is a deformity of the hip (either of the femoral head or the acetabulum, or both) that can lead to hip dislocation. When femoroacetabular impingement and a labral tear are both present, symptoms get worse with long periods of standing, sitting, or walking. 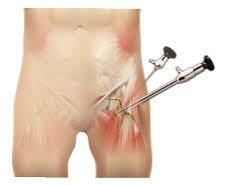 Pivoting on the involved leg is also reproduces the pain. 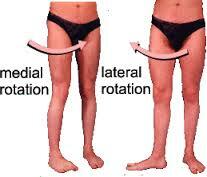 Some patients have a positiveTrendelenburg sign (hip drops down on the right side when standing on the left leg and vice versa). Improving biomechanical function of the hip involves strengthening appropriate muscles, restoring normal neuromuscular control, and addressing any postural issues. 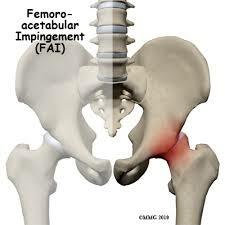 Tight muscles around the hip can contribute to pinching between the femoral head and acetabulum in certain positions. A program of flexibility and stretching exercises wonât change the bony abnormalities present but can help lengthen the muscles and reduce contact and subsequent impingement. Each layer of tissue is sewn back together and reattached as closely as possible to its original position (called thefootprint) along the acetabular rim. 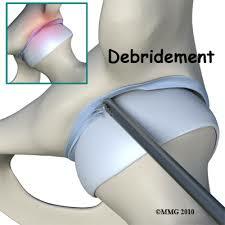 When repair is not possible, then debridement (shaving or removing) the torn tissue or pieces of tissue may be necessary. Stationary bike exercises are allowed early on so long as the bike seat is kept high enough to avoid pinching at the hip during the flexion portion of the pedal cycle. Athletes and sports participants will be guided back to full participation by the physical therapist, usually five to six months after rehab. 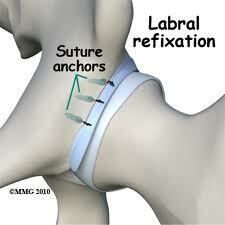 Many patients report continued improvements in their symptoms even up to the end of the first year after surgery.